Businessman, MP (1926-1930), MLA (1933-1936), MLA (1937-1940), MLA (1941-1945), MLA (1946-1949), MLA (1950-1953), Lieutenant-Governor of Manitoba (1953-1960). Born at Perthshire, Scotland on 25 December 1882, son of Peter McDiarmid and Elizabeth Stewart, nephew of James McDiarmid and John McDiarmid, he came to Canada in 1887, spending his early years on a farm near Portage la Prairie. He later established himself as a lumber merchant, forming the McDiarmid Lumber Company. 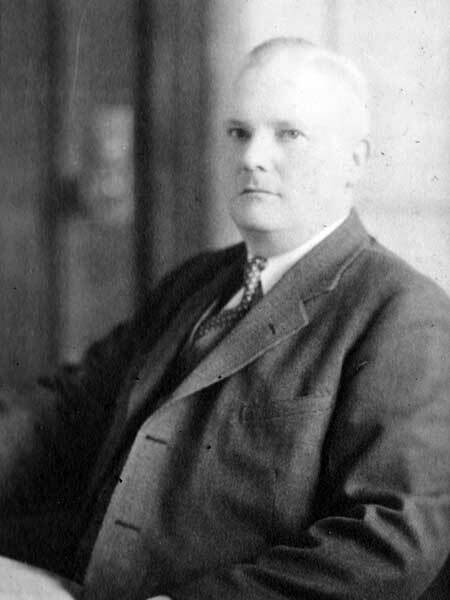 He served as an Alderman for the City of Winnipeg in 1925 and a Liberal Member of Parliament for Winnipeg South from 1926 to 1930. Defeated in the 1930 federal general election, he was elected to the Manitoba Legislature in 1932, 1936, 1941, 1945, and 1949. He was Provincial Secretary in 1939, and Minister of Mines and Natural Resources from 1932 to 1952. He developed new mining industries during the Great Depression, established conservation measures to revive the fur trade, and promoted tourism and recreation within Manitoba. On 20 May 1908, he married Mable Gertrude Kennedy (1887-1977) at Winnipeg. They had five sons: Peter Brian McDiarmid (1909-1975), John Stewart McDiarmid (1910-1978), Charles William McDiarmid (1911-1912), James Malcolm McDiarmid (1913-1962), and Ross Norton McDiarmid (1918-1981). He was a member of the Winnipeg Kiwanis Club (President), Manitoba Curling Association (President, 1924-1925), Strathcona Curling Club, St. Charles Country Club, St. Andrew’s Society, Winnipeg Game and Fish Association, Caledonian Society, Manitoba Club, and St. Andrew’s River Heights United Church. In 1957, he was inducted into the Order of the Buffalo Hunt. He died at his Winnipeg home, 261 Wellington Crescent, on 5 June 1965 and was buried in the Elmwood Cemetery. His honorary pallbearers were Errick F. Willis, Vernon D. E. Smith, Duff Roblin, Gurney Evans, G. L. Molgat, Dr. N. C. Carmichael, Harold J. Riley, Robert T. Taft, E. G. Cass, Wilbur H. Little, Dr. W. G. Newman, and Liston B. McIllhagga. Obituary, Winnipeg Free Press, 7 June 1965, page 28. Obituary [J. Malcolm McDiarmid], Winnipeg Free Press, 12 March 1962, page 26. Obituary [Peter Brian McDiarmid], Winnipeg Free Press, 30 July 1975, page 48. Obituary [John Stewart McDiarmid], Winnipeg Free Press, 6 December 1978, page 288. Obituary [Ross Norton McDiarmid], Winnipeg Free Press, 20 January 1981, page 57. “Scrapbook & Award Certificates,” John Steward McDiarmid fonds; MG12 N, Box 13 - Archives of Manitoba. We thank Serena McDiarmid for providing additional information used here.